Some researchers claim to detect in Einstein's childhood a mild manifestation of autism or Asperger's syndrome. Simon Baron-Cohen, the director of the autism research center at Cambridge University, is among those. He writes that autism is associated with a "particularly intense drive to systemize and an unusually low drive to empathize." He also notes that this pattern "explains the 'islets of ability' that people with autism display in subjects like math or music or drawing -- all skills that benefit from systemizing. "* I do not find such a long-distance diagnosis to be convincing. Even as a teenager, Einstein made close friends, had passionate relationships, enjoyed collegial discussions, communicated well verbally and could empathize with friends and humanity in general. 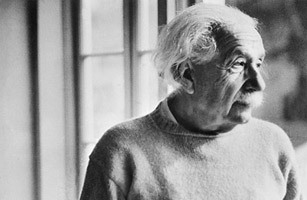 See why Einstein was wrong about being wrong.